Story Jeni Bone photos Supplied. Dare drawn to charter. Far from cannibalising the boat market, there’s a good many charter guests who’ll parlay their enjoyment into ownership at some stage of their lives. And for many owners, charter allows them to put their vessel to good use when they can’t use it, keeping their crew sharp and the boat in working order, while defraying some of the costs of maintenance. Charter has broad appeal for the absolute freedom to pick a point on this blue planet and meet your private yacht there, with ‘step-on-step off ’ convenience, professional crew trained in all kinds of specialties – from massage to submersibles – and totally tailored itineraries to whet your appetite for any kind of vacation you can imagine. From extreme adventures in remote destinations, to equally stimulating sojourns in celebrity-strewn ports such as Cannes and Monaco, charter takes you there. Your location and backdrop can change daily, according to your mood, appetite or the weather. 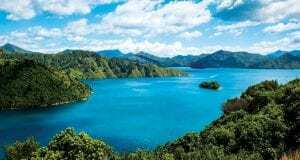 There’s no trekking between hotels, no unpacking and repacking required and you are far, as they say, ‘from the madding crowd’ – especially those known to jam the streets at major events and tourist hot spots. There’s no better vantage point for all the action on the track and none of the discomfort, than ensconced aboard your luxury superyacht, moored on Monaco marina, Port Hercules. 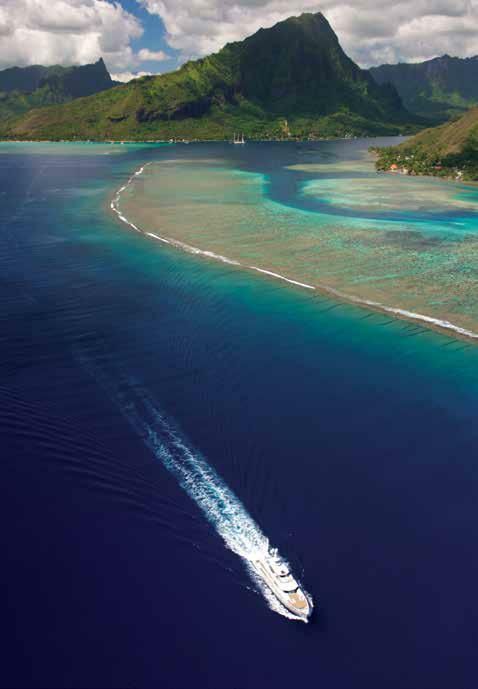 Privacy, exclusivity, delectable cuisine, five-star service, plus the option of setting off tomorrow to a secluded anchorage for snorkelling, sailing or simply relaxing with only the sound of waves lapping at the hull and ice clinking in the cocktails. Locally-based charter brokers cater to a global clientele and report that charter in our region has reached a new zenith. 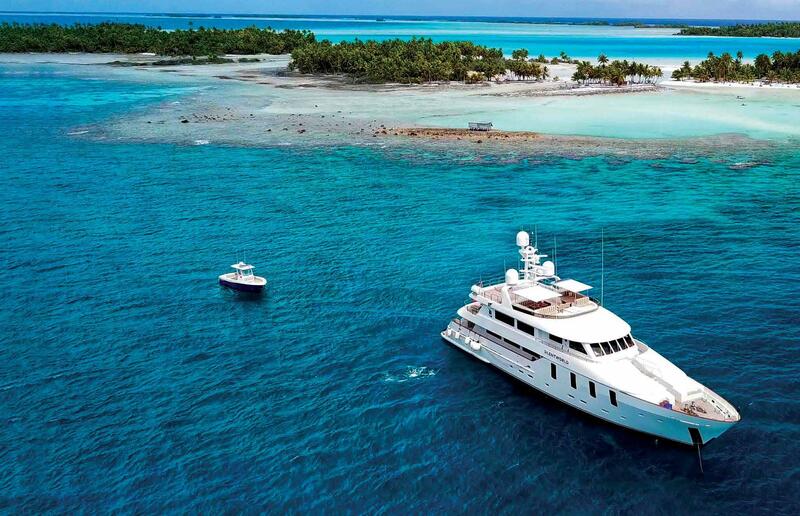 Founder of Luxury Charter Group, Jeni Tidmarsh says the unique appeal of a charter vacation lies in its personalisation from start to finish, no matter what your required level of comfort. Jo Howard, Managing Director Ocean Alliance. “Your itinerary, activities and every detail are entirely all about you,” says Jeni. “You don’t have to own a yacht or be an experienced sailor. Your yacht can be matched to your requirements and allocated budget, be it a 15-metre sailing catamaran or a 50-metre luxury motor yacht where the ratio of crew to guests means you can enjoy five-star service in every aspect.” The allure of charter is that time on-board somebody else’s magnificent and professionally-run vessel “is an opportunity to create time with your family and friends that is more akin to a journey than a vacation”, according to Joachim ( Jo) Howard, Managing Director at Ocean Alliance. “It is not a packaged experience that is repeated, but a curated itinerary,” Jo continues. “A charter experience on a well-managed yacht is a completely customised experience which is tailored specifically to the group. 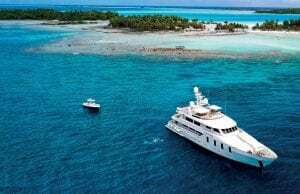 From the itinerary to the menus and activities.” A crewed yacht charter delivers the ultimate all- inclusive vacation on the water, says Peter Redford, Managing Director at Fraser Yachts. 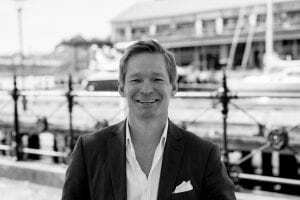 “It’s a world where you can take the opportunity to relax, unwind, and enjoy special times with friends and family, while being pampered by a personal and professional crew onboard a private charter yacht anywhere in the world,” Peter explains. “Unpack your bags once. 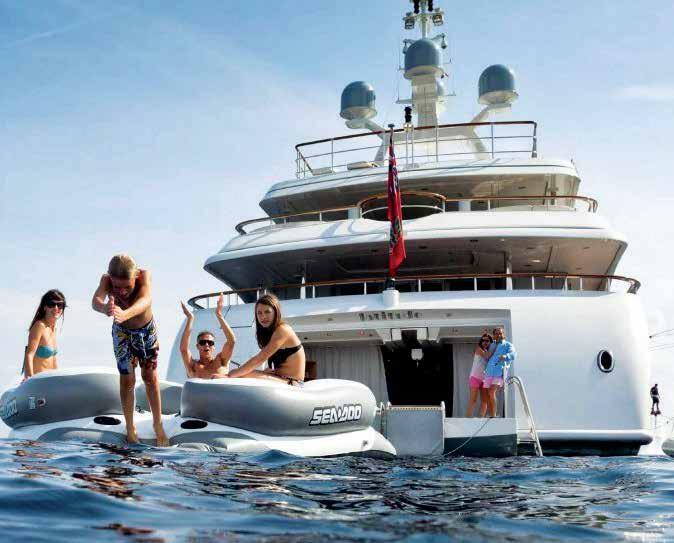 There’s no carting luggage between locations, checking in and out of hotels, just relaxed cruising in the capable hands of your attentive crew.” Locally, growing superyacht ownership means there are more vessels available in the charter fleet. 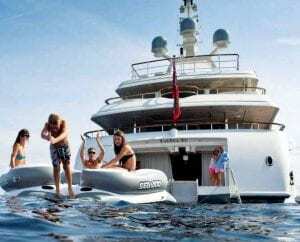 “The charter market is being stimulated by a number of factors: firstly, we are seeing an increase in owners basing larger yachts in the region with an appetite to operate those yachts commercially, and secondly, Australia and the South Pacific are becoming an increasingly popular alternative charter destination to the experiences offered in the Mediterranean and Caribbean,” says Jo. Australia is rising on the radars of travellers looking to experience the South Pacific odyssey of their dreams.“Visitors from overseas often come to Australia just once, and they want to visit several destinations, including Sydney, Uluru, the Whitsundays and the Great Barrier Reef,” Jeni says. 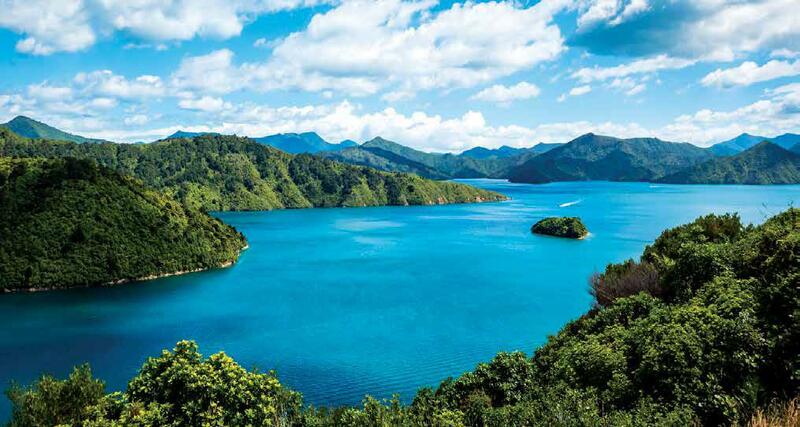 Queen Charlotte Sound, Marlborough Sounds. Jo says he is seeing increasing interest focused around Sydney, the Kimberley, Whitsundays, Cairns and Lizard Island. “Australia’s beauty is an enormous driving force for the growth and interest in Australian yacht charters,” says Peter. 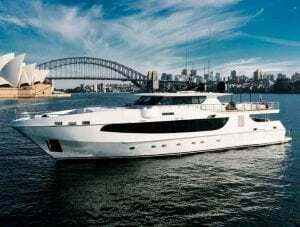 “There is an overwhelming array of breathtaking destinations to be visited in Australia on a superyacht charter. 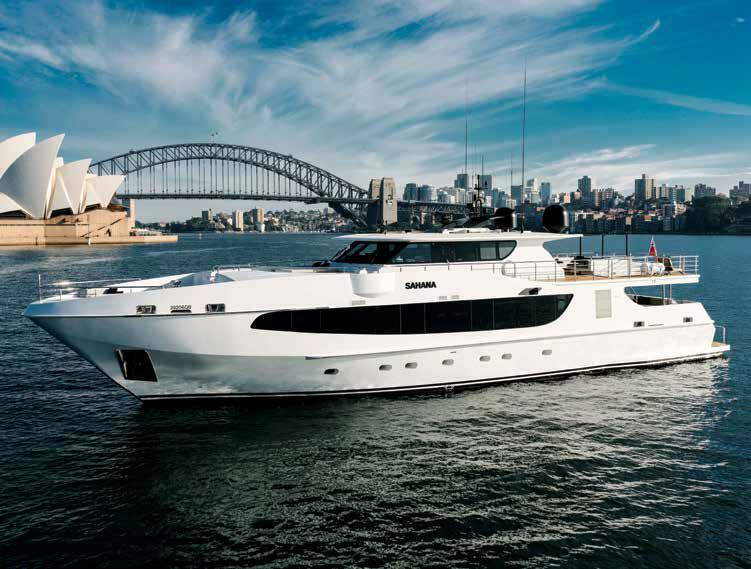 A superyacht charter in Australia combines luxury with adventure.